We woke up early to catch the sunrise at the Kiltepan Peak. I missed catching the sunrise so I was really excited to see it. Also, it was my first time to get to the peak. We went out from our lodging at around 5:00 AM and waited for our guide/vehicle from SaGGAs who will take us to the viewpoint. It is a must to contact guide/s a day prior to visit to Kiltepan Peak. After a couple of minutes our guides arrived and we hopped inside the jeep and off we went to our destination. It was really cold… The road was still misty. You can’t barely see anything but fogs. After a few kilometers ride from the town proper we had arrive in Kiltepan Peak. There are already few groups in the area waiting for the sunrise. There’s a bonfire set up in the grounds and so while waiting for the sunrise we went closer to the bonfire to get warmth. But the heat from the fire is not helping as we were still feeling cold so we’ve just decided to go back and share some horror stories inside the jeep. I was shaken by the stories of my fellow travelers. I can’t believe that they have senses to some creatures normal people can’t see or feel. Anyways, I don’t like to scare myself so I’ll stop from here and just move to talking about Kiltepan. After the terrifying horror stories, we went out and moved to the viewpoint. The dawn was breaking and there was still no trace of sunshine. It felt like the sun will not going to show up that day! We can only see a peek of Kiltepan whenever the wind blew the clouds away. We can’t see the entire view of it as there were clouds covering it. Despite of it, I can see how amazing it was. Maybe this is another reason for me to go back… A sneak peek of it might be good for me for the meantime. 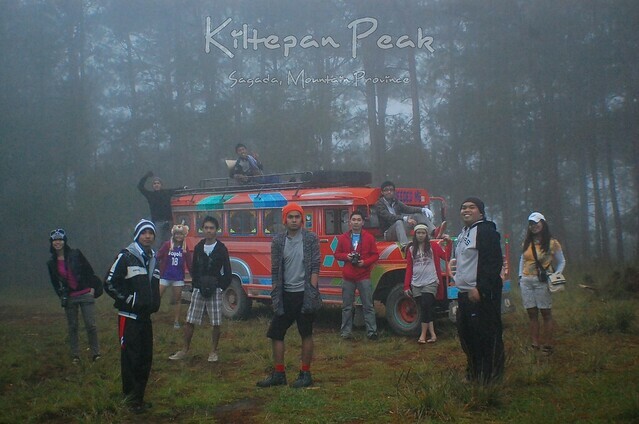 Nonetheless, it was still memorable experience visiting Kiltepan Peak. It may be a failed sunrise but a new beginning has risen for us as we travel and experience Sagada. Sunrise is usually at 5:30 AM. Contact your guide a day prior to your sunrise visit at Kiltepan Peak. Wear pants, jacket, sweater or anything to get you warmth or better yet bring a blanket with you – it’s so cold in the morning. @Reeyah Leiyah, I haven't heard anyone did an overnight stay there. I don't think it's allowed. Hi! 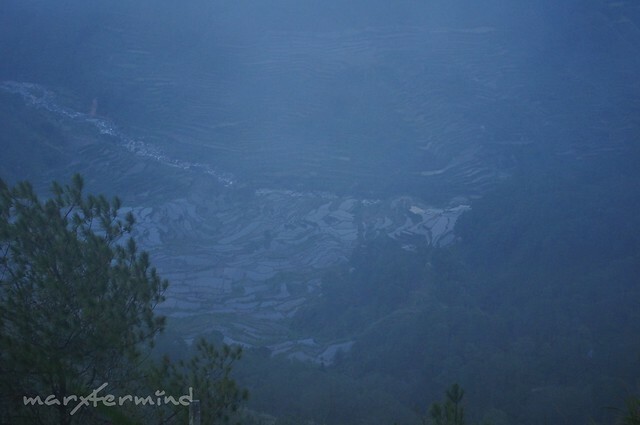 We'll be going to Sagada on Feb 10-12. Just wanna ask if overnight stay (tent of course) is allowable in Kiltepan Peak? ang galing lang ng group pic.. para lang Lost o kaya Heroes na series.. at ang ganda lang ng orange na jeep.. napaka-funky!! @Robbie, yup ganda kasi parang cover lang ng isang US series… Hehehe! gumu-group pic. At talagang may blocking ha. hahaha! 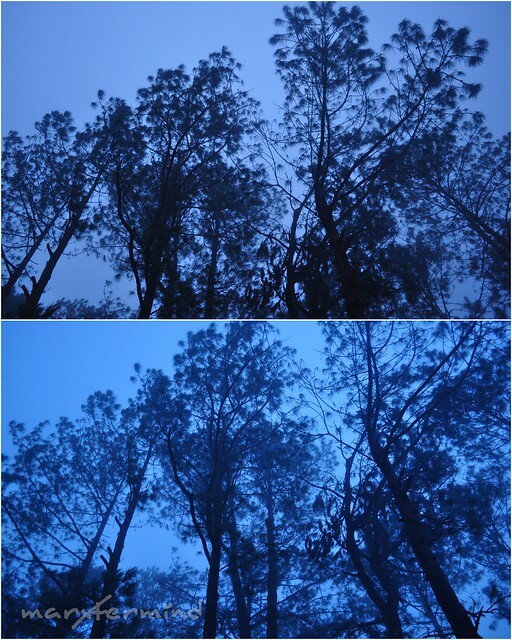 Though you miss the sunrise at Kiltepan Peak, you caught a dramatic picture of the shadowed trees. The first shots. It might seem creepy for others but for me its classy and dramatic like mood inducing picture. Fave talaga nating lahat yung last photo no? Hahaha. Sayang talaga walang sunrise. 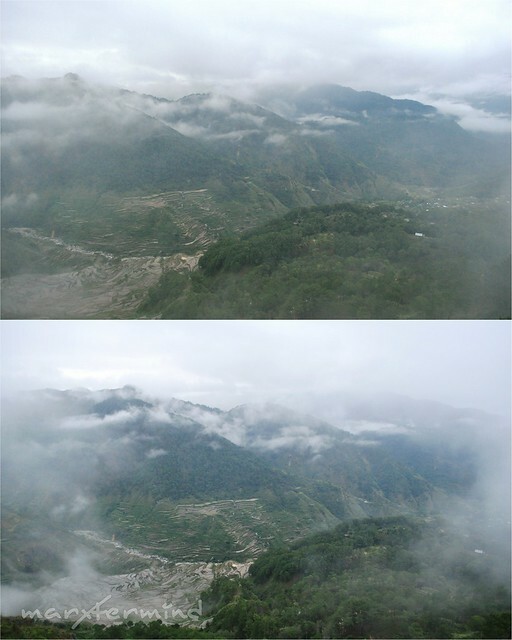 But it only gives us more reason to go back to Sagada! Nakakainis yung mga ghost stories! And excuse me ang hilig mo kayang takutin sarili mo! Hahahaha. Kaya nga pero babalik naman ako for sure and sana may sunrise na.